You’ve heard about dental veneers and the miraculous transformations they enable, but what about dental bonding? Learn from Dr. Horn, your cosmetic dentist for Minneapolis, if dental bonding is ‘just what the doctor’ would order for you! 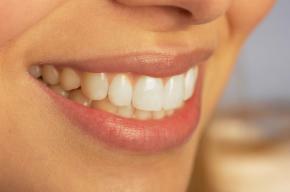 What is it you dislike about your teeth: The gap between them? Bonding can attractively fill that! Maybe it’s noticeably chipped edges? Bonding can take care of that too! Are your teeth permanently discolored? Bonding covers over such flaws! Are your teeth too short? Bonding is capable of changing their shape! Has part of your gum receded so much your root is now sensitive? Bonding is a protector! Have you experienced unfortunate tooth decay? Bonding can be an attractive filling option! What exactly is the bonding process? Happily, in the majority of cases anesthesia is not required, unless bonding is being used to fill a decayed tooth. Dr. Horn will use a shade guide to select a composite resin that closely matches the color of your teeth. The surface of your tooth will then be prepared by roughening it so the bonding substance has something to adhere to. Then the resin material will be applied, molded and smoothed to the desired shape before it’s hardened with a special light that “bonds” it permanently to the tooth. Finally, it can be trimmed, shaped, and polished to match the gloss of the rest of your teeth. Get ready to show off the new-and-improved you! Bonding is one of the easiest and least expensive appearance-changing dental procedures available. By simply following good oral hygiene practices, expect your bonded teeth to last between 3 to 10 years before requiring touch-ups. Consult with Dr. Horn, your cosmetic dentist serving Minneapolis, and discover the best your smile has to give!